Come and see firsthand what our amazing dogs can do! Join us at an information session held at our Southern Centre on Mill Road, Heyshott, Midhurst, West Sussex. Our Information Session includes a presentation and a short film, a demonstration by our demo dog team, and a talk from an established partner about the difference their canine partner has made to their lives. 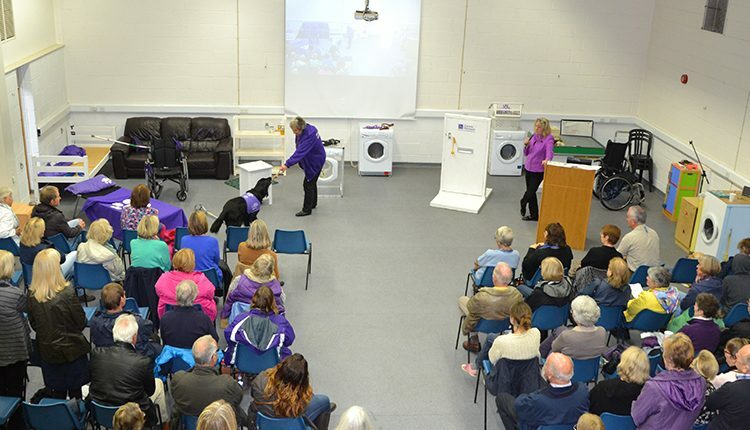 Attending an information session is a fantastic opportunity to find out more about Canine Partners, what we do as a charity and how you can support us to raise vital funds, enabling us in time to re-open our waiting list for those wishing to apply for a canine partner. Please note that we do require a minimum of 30 people to be booked onto a session to make it viable to run. In the event that we do not reach minimum numbers, the session will be cancelled and you will be offered an alternative date.